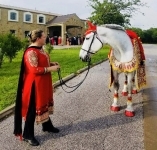 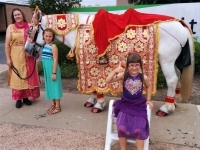 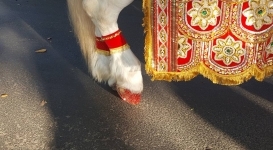 Dressed in a full, traditional costume, our white mare (female horse) is the perfect Baraat* horse. 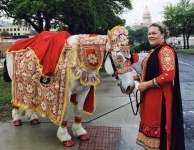 Diva is a comfortable size mount for any groom and has had the same training as a downtown Houston, TX police horse. 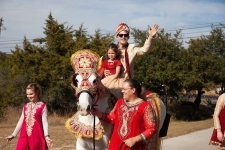 She is completely fine with the loud music, dhol (drum), cheering, camera flashes and drones (quadcopters) that accompany most Baraats. 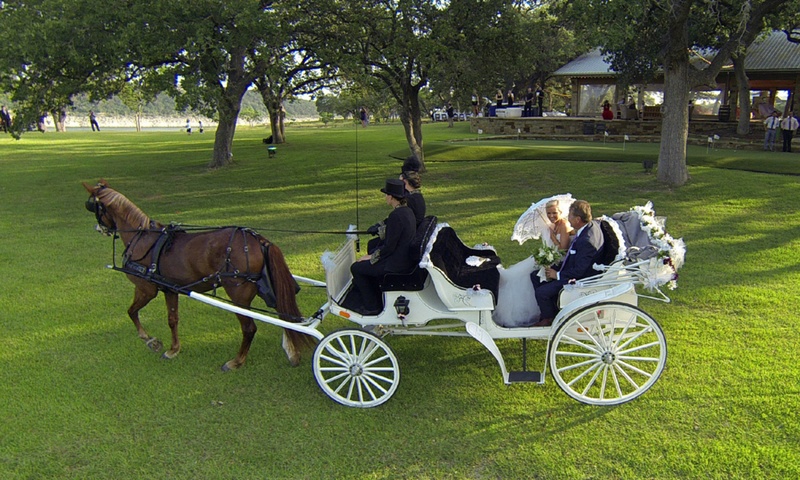 Diva is capable of bringing the groom in by horseback or pulling a carriage. 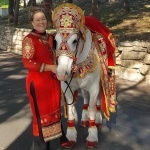 For the safety of the groom and all Baratis, we provide two handlers, also attired in appropriate traditional clothing. 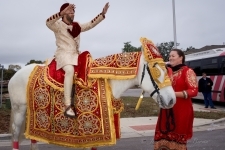 *A Baraat is a bridegroom’s wedding procession in North India and Pakistan. 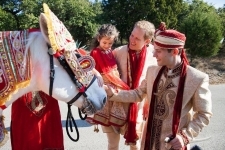 In North Indian communities, it is customary for the bridegroom to travel to the wedding venue (often the bride’s house) on a mare, accompanied by his family members. 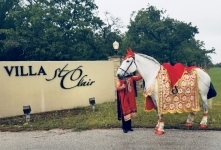 The Baraat can become a large procession, with its own band and dancers. 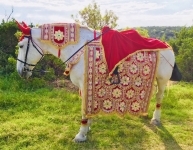 The groom and his horse are covered in finery.